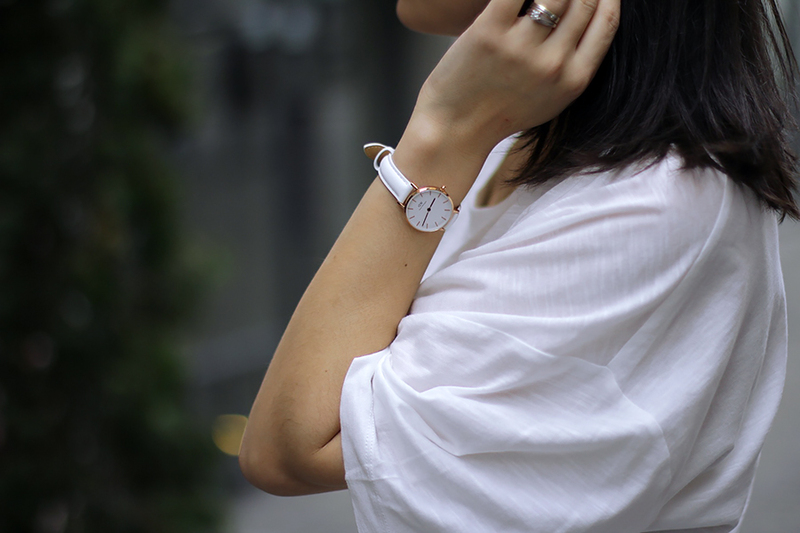 Nothing stands out like a crisp-white total look. 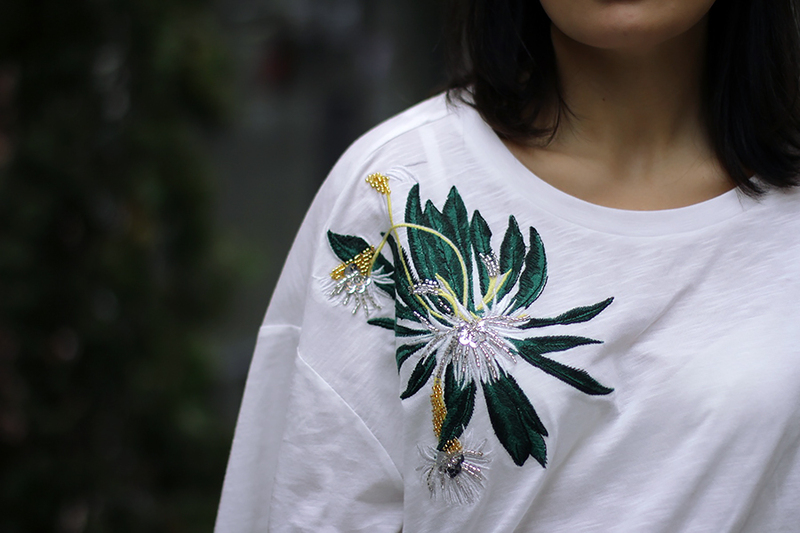 Summer is the perfect time of the year to wear this ultimately fresh colour. 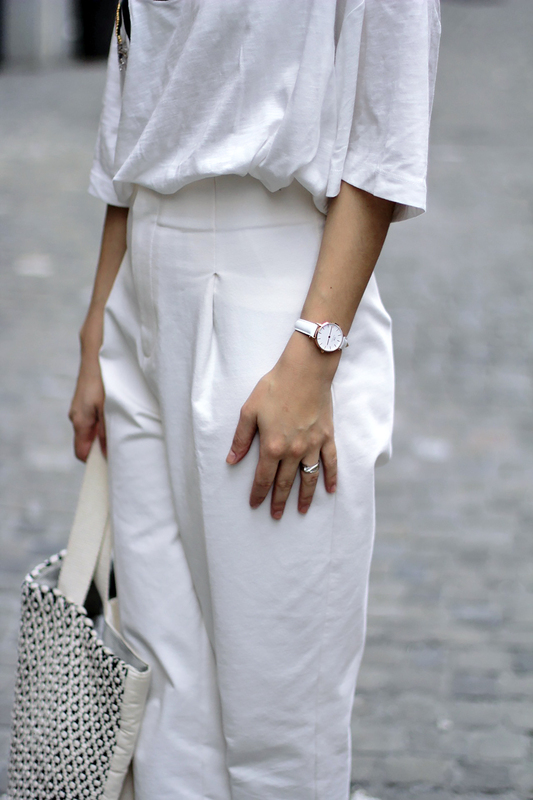 Total white outfits are especially good for hot summer days. I’m wearing a total look from H&M, and a t-shirt from a limited collection by Anna Glover. This was a perfect combination of a white top with white pants and white sandals. Wish I could’ve had my cold Martini at a lounge cafe here, instead of carrying the stroller and toys to the playground. Happy I managed to keep my white outfit all clean! Anna Glover x H&M top; H&M pants, sandals & sunglasses; Daniel Wellington watches; Weekend MaxMara bag.